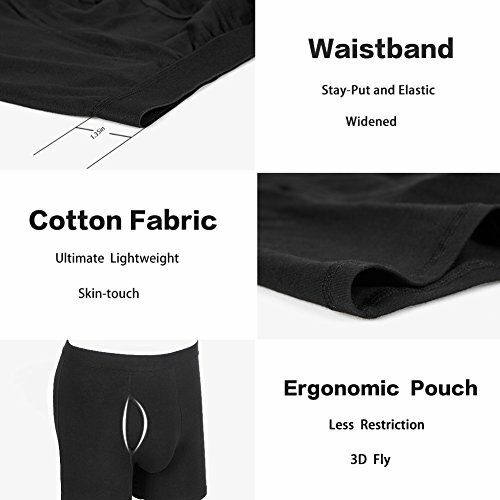 Mens Boxer Briefs Size: (S 30″ – 32″) (M 33″ – 35″) (L 36″ – 38″) (XL 39″ – 41″) (XXL 42″ – 44″); Please compare with size chart of underwear men pack. 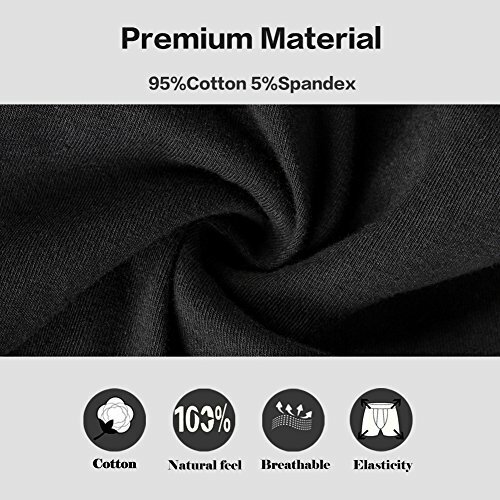 Men’s Boxer Briefs Quality: High-quality raw materials, finished under exquisite craftsmanship and rigid inspection. 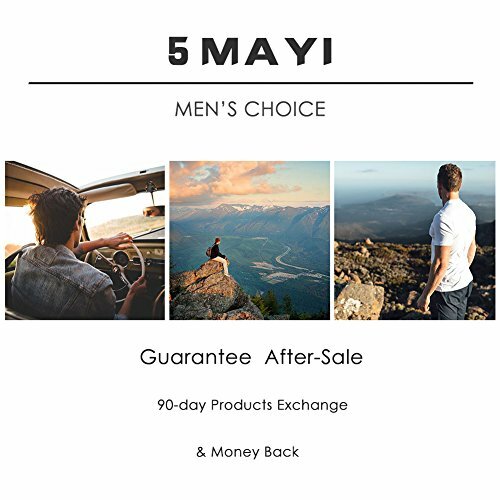 Men Underwear Package: Boxer Briefs will come with a recycle-use bag, which is convenient to reserve men’s underwear. 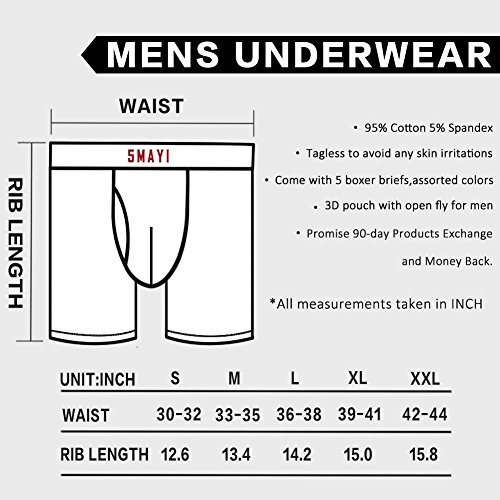 We will produce newest style or print mens underwear as fashion trendency. 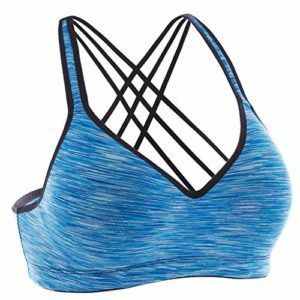 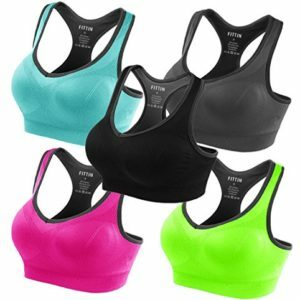 Large-36" – 38", Medium-33" – 35", Small-30" – 32"